When MOXY first exploded onto the scene in 1974 with their hit song ‘Can’t You See I’m a Star’ They were destined to become part of the alumni of heavy hitting Canadians making a mark in the U.S.A. MOXY renegotiated a new contract with Polydor of Canada for distribution in affiliation with Mercury Records who reissued the self-titled debut album in North America and worldwide in 1976. Just a year after the first album for Canadian fans, it was just three short months later that the reissued copy of the first MOXY album was released in the U.S., MOXY II received international press coverage for the band. Most reviews predicted success for the band and comparisons were made to Aerosmith, Rush and Deep Purple.MOXY II was also highly acclaimed on its release by Geoff Barton of the UK music publication Sounds Magazine, who made the album available to its readers for the special price of only £1.50. Geoff Barton would later refer to MOXY as the Canadian Led Zeppelin. 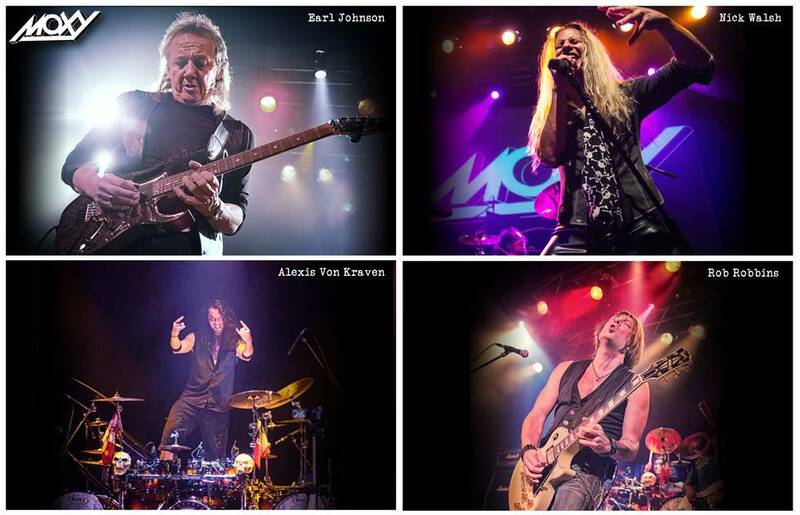 MOXY saw success touring the U.S. with the likes of such artists as Boston, Styx, AC/DC, Black Sabbath and Rainbow just to name a few.